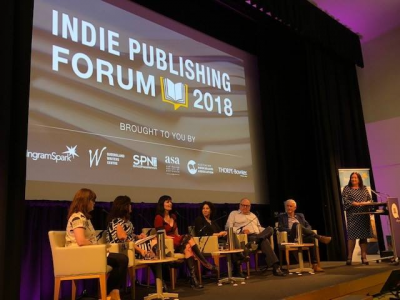 The Indie Publishing Forum—a joint initiative by the Small Press Network (SPN), IngramSpark, Books+Publishing and the Australian Society of Authors (ASA)—launched earlier this year with sessions held in three Australian cities from late July to early August. Debbie Lee, Ingram Spark’s content acquisition and business development manager, summed up the inaugural program for Australian Self-Publisher. This year saw the advent of the Indie Publishing Forum—a unique, three-city event designed to bring small publishers and self-publishers together with industry experts, with a program covering the gamut of topics relevant to this growing market base. Director of IngramSpark US Robin Cutler kicked off proceedings by discussing her expansive career encompassing book design, commissioning in the academic space, establishing a publishing company, working at CreateSpace, and setting up what is now a flourishing self-publishing platform, IngramSpark. Cutler highlighted the ‘Author as Publisher’ phenomenon as a gamechanger, spurred on by the technological revolution of print-on-demand, coupled with access to a global distribution network. Other aspects of this vibrant publishing ecosystem were explored from diverse yet interconnected perspectives. Booksellers in each city—Brunswick Bound’s Megan O’Brien (Melbourne), Avid Reader’s Sarah Deasy (Brisbane) and Lindfield Bookshop’s Scott Whitmont (Sydney)—expressed common themes: become a loyal customer before you start plying your wares at your local bookshop; and avoid publication at peak periods (you won’t get a look-in during the Christmas rush!). 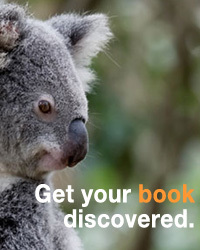 Gary Pengelly of MyIdentifiers Australia (also known as the Australian ISBN agency) stressed the importance of good metadata in aiding discoverability, as well as the value of owning your own ISBN. If you plan to publish in multiple formats (with each format requiring its own ISBN), it is more cost effective to buy multiple ISBNs rather than purchasing one at a time. Author service providers Julie-Ann Harper (Pickawoowoo), Alex Fullerton (Author Support Services) and Jenny Mosher (Mosher’s Business Support) each spoke about the need to view your ‘publishing self’ as a business, and to be sure to employ the professionals—editors, designers, cover artists—for an all-round quality product. Ellie Marney, teacher and YA fiction writer, and Kim Wilkins, UQ academic and prolific fantasy novelist, shared their tips about traditional and self-publishing options. Both agreed that each book has its own ‘needs’ but whatever the route to fruition, your role as author has just begun when you type that last page. Building an online platform and engaging with readers is key. Black Inc. international director Sophy Williams recounted how the publisher maintains a diverse list spanning history, politics, biography, current affairs, fiction and poetry. By contrast, Bronwyn Mehan of Spineless Wonders spoke of specialising in short stories and ‘microlit’ fiction, with a foothold firmly in the print-on-demand and digital space. The integral role played by industry associations was ably demonstrated by Tim Coronel, general manager of the Small Press Network and MC extraordinaire, as well as by representatives from other industry groups. Writers Victoria director Angela Savage highlighted the amazing opportunities, workshops and guidance offered by state-based and regional writers groups; Olivia Lanchester, legal services manager for the Australian Society of Authors, advised about copyright and contractual matters; and Queensland Writers Centre CEO Lori-Jay Ellis led the floor at a full house (250 delegates!) in Brisbane. Alongside all of these guests was one of the industry’s stalwarts, distributor Dennis Jones, who fought for the little guys and lifted so many indie publishers into the retail space. Sadly, Jones’ company Dennis Jones & Associates is no longer in business, but its legacy truly lives on. And so too will the Indie Publishing Forum. The structured two-hour format, complete with audience Q&A, proved to be a winning formula. Proceeds from ticket sales resulted in a $1000 donation to the Indigenous Literacy Foundation.